When I finish a wallpaper job, I like to give my clients (and especially their children) a “lecture” about care and feeding. You can read the full version of this on a page found at the right. For now, I want to explain why not to use spray products in your room. Avoid the use of any aerosol or air-borne substances such as hair spray, glass cleaner, air freshener, etc. 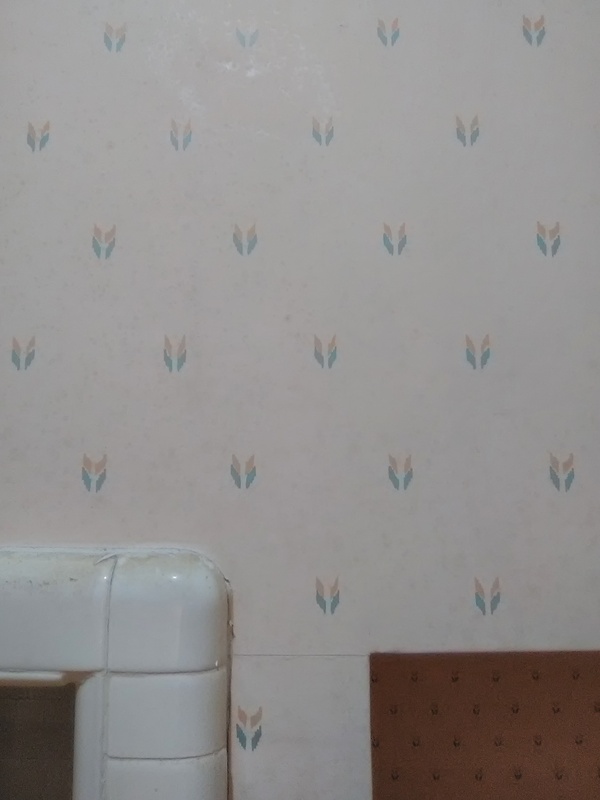 Residue can hang in the air and will eventually find its way onto the wallpaper. 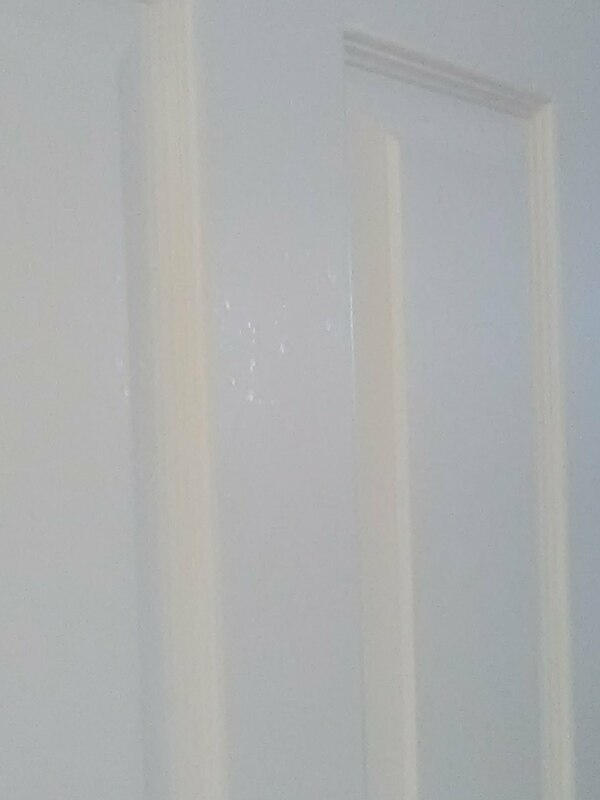 Please see the above attached photos, where you can see tiny dots of shiny residue on the middle panel of the door, and in the second photo, on the wallpaper. Instead, use a solid air freshener, or the new “Poo-Pouri” type products that are not air-borne. When applying hair spray, step into the shower so any overspray will land on the tile walls, not on the wallpaper. For cleaning the mirror, have the housekeeper spray the Windex on her RAG, not onto the MIRROR –this will prevent overspray from getting onto the wallpaper. 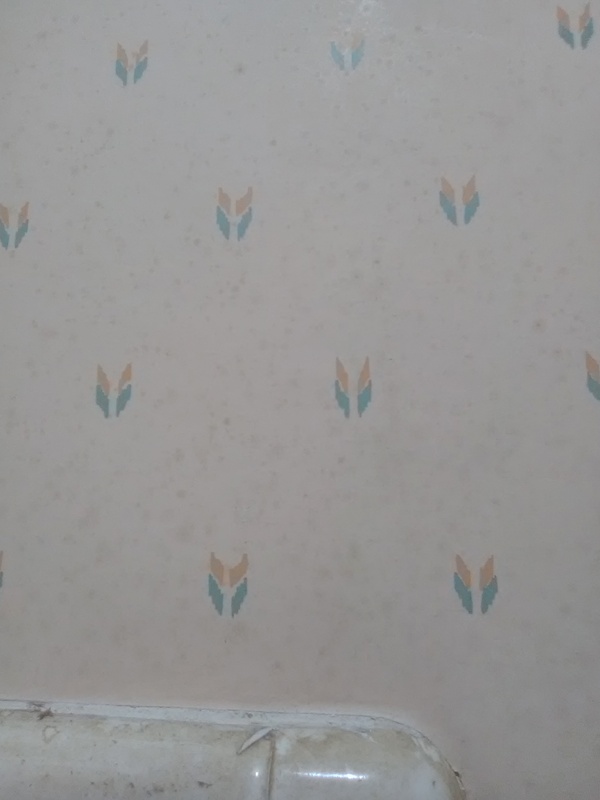 See these tiny drops on the wall of this bathroom? I believe these are caused by people using aerosol toiletries, such as hair spray, air freshener, and other such products. 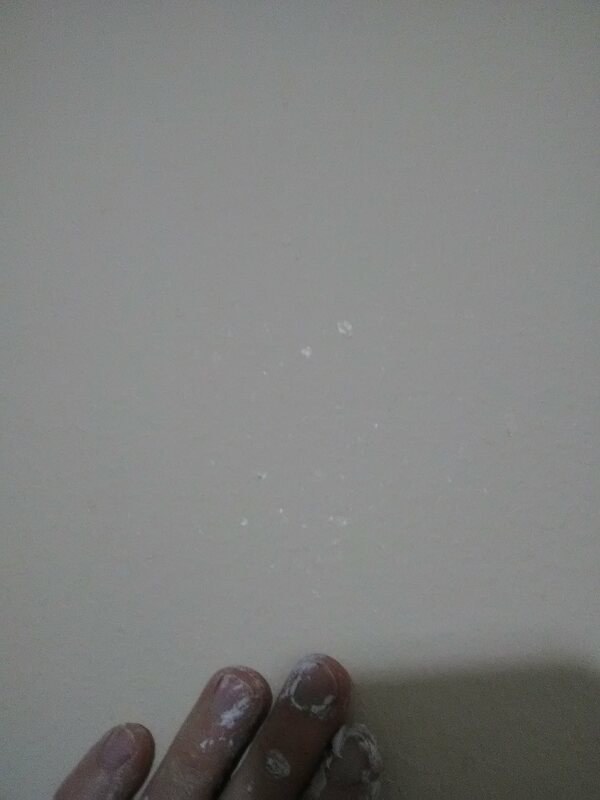 Even if MOST of the material hits its target, SOME of it will remain air-borne, and then will eventually find its way onto the paint or wallpaper. Most people don’t notice tiny stains like these. But sometimes they’re very visible, and that’s why I recommend that people stay away from air-borne products. For air fresheners, there are solid or wick-type diffusers, and with glass cleaners, it’s preferable to spray the cleaner onto a rag, than to spray it onto the mirror or window.